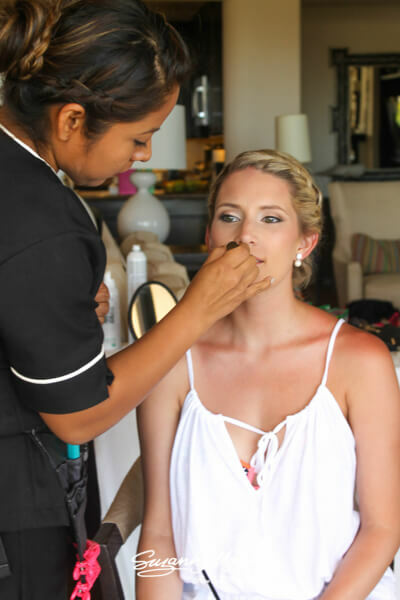 As Cabo’s leading bridal hair and make-up salon, the professionals at Suzanne Morel Face and Body Care know all the best looks for beach brides. And as much as we love styling a dramatic “night-on-the-town” look, we must say our favorite style for beach weddings is natural hair and make-up. This week’s real wedding features a wonderful example of how the natural, beachy look is the perfect style for your beach wedding in Los Cabos. 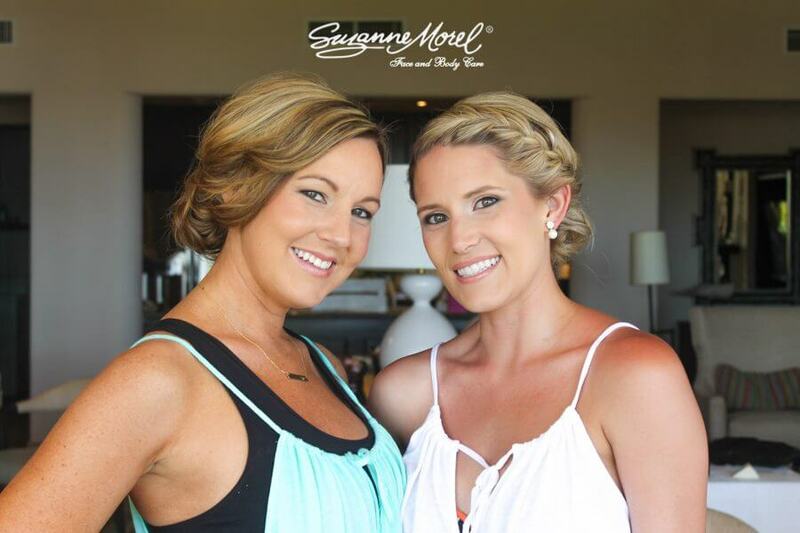 Bride Julie held her destination wedding in Cabo at the beautiful Esperanza Resort. She had a simple, rustic theme with burlap and blush details, and she wanted a bridal look that was also natural and minimal. 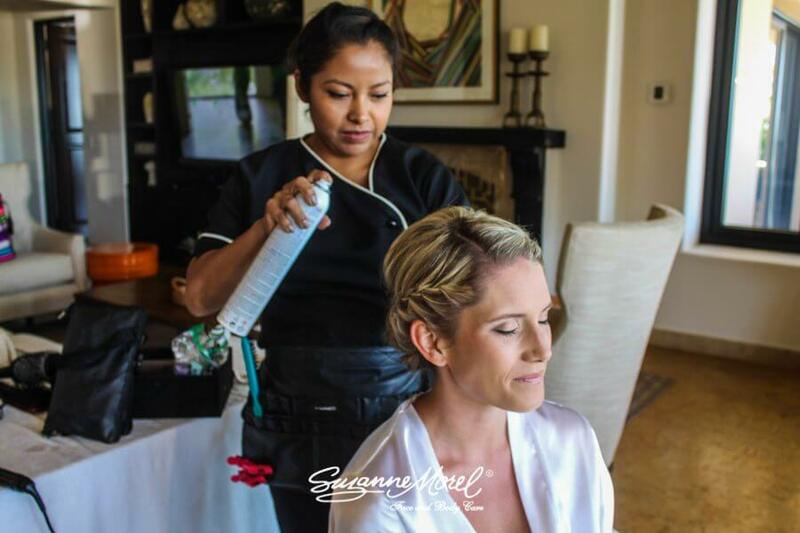 Even though natural wedding hair and make-up involves less product overall, our expert stylists still take every step necessary to properly prep the hair and face so your bridal look will be flawless from morning to night. The Suzanne Morel experience includes proper cleansing, toning and moisturizing to prep your face for make-up that will look natural and last all night. To prep your wedding-day hair, we start with the proper brushes and combs, blowing out the hair with any necessary styling products before we even pick up any other styling tools! 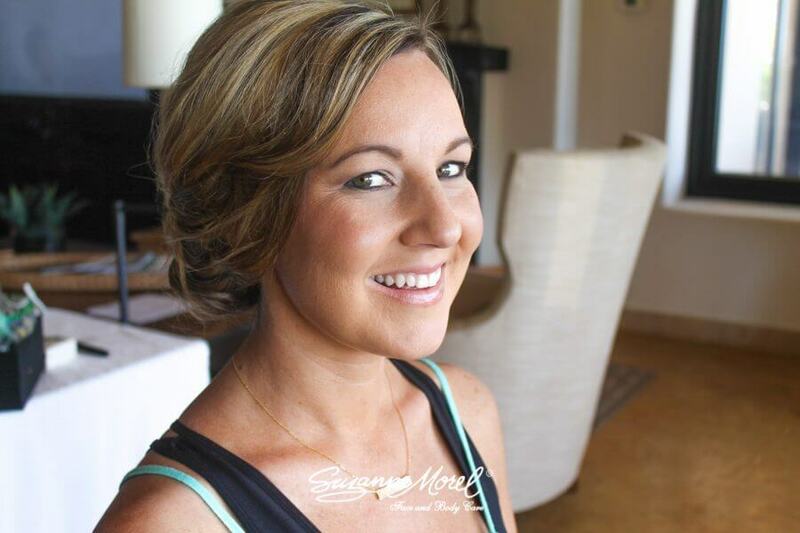 The final product for Julie and her bridal party was flawless natural skin, soft eyes and perfect, glossy lips! The ladies wore different (but equally adorable) variations of unfussy beach hair. We loved Julie’s braided bridal look—it was a perfect match for her special evening at the beach surrounded by family and friends. We want to extend a special thank you to Esperanza Resort for always welcoming our team! We love styling bridal parties at this beautiful resort! This entry was posted in Cabo Bridal Hair and Makeup and tagged beach bridal look, beach wedding hair and makeup, beach wedding hairstyle, beachy wedding look, Cabo bridal hair, Cabo bridal makeup, Cabo wedding bridal salon, Cabo wedding hair, Cabo wedding makeup, destination wedding hair, destination wedding makeup, Esperanza resort Wedding, natural wedding makeup, Suzanne Morel, wedding braided hair, wedding in los cabos.